This feels like Digital Extremes' first steps into transitioning Warframe into more of a shooter/MMO hybrid as the update brings it with some of those features most commonly associated with titles in the MMO genre (i.e., quest-givers, a social hub, non-combat activities like fishing). It's an ambitious step, as so much of the game is centered around taking on discreet missions with friends and, more-or-less, grinding away at those. With the addition of an open area where players can accept different quests, experience a full day/night cycle, interact with vendors and NPCs, and take on bigger/tougher foes (the Eidolons), there's more to see and do, which is enticing to long-time fans and newcomers alike. Debut of the Deadly Warrior: Witness the introduction of the 34th Warframe, Gara, who manipulates glass to fracture the resolve of her enemies. Gara's unique Abilities comprise Shattered Lash, which thrusts forward a deadly glass blade, or performs a 180-degree sweep, damaging anyone in its path; Splinter Storm, which surrounds her target with swirling shards of glass; Spectrorage, which creates a ring of mirrors around a target area, and Mass Vitrify: an Ability that expands a ring of molten glass slowly crystallizing enemies who enter. More info on what's new with this update can be found on the official Warframe website. If you're curious what all of this looks like in action, enjoy this 22 minute gameplay video from the devs as they show off the Plains, the city hub of Cetus, and one of the mysterious and deadly Eidolons. 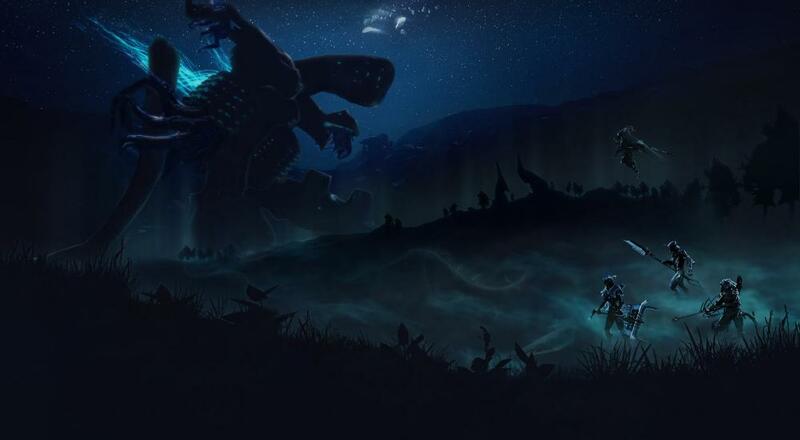 The "Plains of Eidolon" update arrives for PC this week, and will hit PlayStation 4 and Xbox One next month. Warframe is available now on PC, PlayStation 4, and Xbox One as a free-to-play title and supports four player online co-op throughout.